We’ve got good news for parents out there! Are you ready for it? Your child can learn, while also having fun! You don’t believe us, do you? We know you will after your first visit to our kids’ play area in Granada Hills. 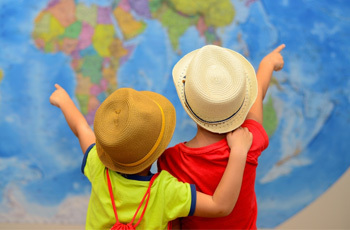 For far too long, learning and having a good time have been separated for children everywhere. There’s the classroom, and then there’s the playground. 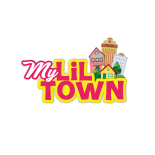 At My Lil’ Town, you get the best of both worlds! Our play place teaches your child valuable life skills by providing them with interactive stations that let them, and their incredibly creative imaginations, run a little town of their own! 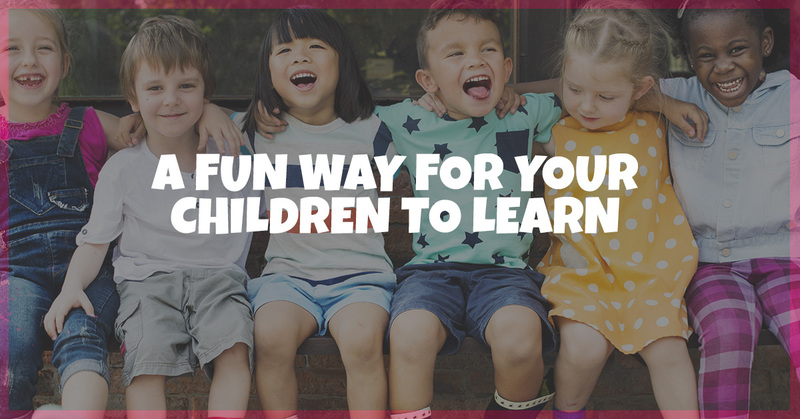 Find out more about this innovative style of teaching kids lessons and information that they will be able to take with them as they get older. If you have any questions or would like to schedule a tour, don’t hesitate to contact us today! There are some things that the classroom does not teach that become important as they grow older and start living in the adult room. Not many teachers cover such lessons as the basics of how the government work, financial skills, or even how to pump gas when they get their first car. We know that you’re children have a long way to go before they set up a bank account or receive their driver’s permit, but it’s never too early to instill the knowledge that will become so important to know as they develop into adults. At our indoor kids’ play area in Granada Hills, your child will learn these things and more at our various stations. 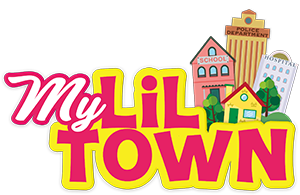 From learning about how to shop for groceries and checkout at My Lil’ Supermarket to learning about the importance of law enforcement at My Lil’ Police Station, they’ll be learning things that are hardly covered in their school books! One of the best ways to ensure that your child retains the lessons they learn at such a young age is through a hands-on approach and letting them actually interact with things to help them remember. That’s exactly what they get at My Lil’ Town! From tiny shopping carts to small bank registers, they’ll be able to gain knowledge by actually working with things that they are learning about. Maybe the best part about our indoor playground is that it’s fun! You’ll child won’t even know that they’re learning while they’re running around their own little town! We guarantee that they’ll be wanting to come back again and again and you can have the added benefit of knowing that they’re gaining important knowledge that will carry on into their bright future! Our doors are almost open and you’ll be able to come and see our kids’ play area in Granada Hills for yourself! Our center is fun, educational, and safe! If you would like any more information or want to schedule a tour then don’t hesitate to contact us today. When you bring your child to My Lil’ Town, you’re getting more than just an indoor playground. Our center is a safe, fun, and great learning environment for your young one! Find out more about our unique educational approach and contact us today for more information! Some of what your child will learn during their time in our play area is not taught in the classroom. From how the government works to financial skills, they’ll learn it here! The best way for your child to remember the lessons they learn is through a hands-on approach. Your kiddo will be able to interact with all of our many stations so that they’ll retain the knowledge. The best part about My Lil’ Town is how entertaining it is for the kids! Consider it an educational playground! It’s surely going to become your child’s favorite place to play. If you would like any more information about our kids’ play area in Granada Hills, then contact us today!